Fresh new colours, playful silhouettes, and a well-deserved break from all those winter woollies are the few things that come to mind when you think of Spring. There is a certain freshness that comes with the season that translates into fashion too, with new collections, new celebrity looks, and much more. 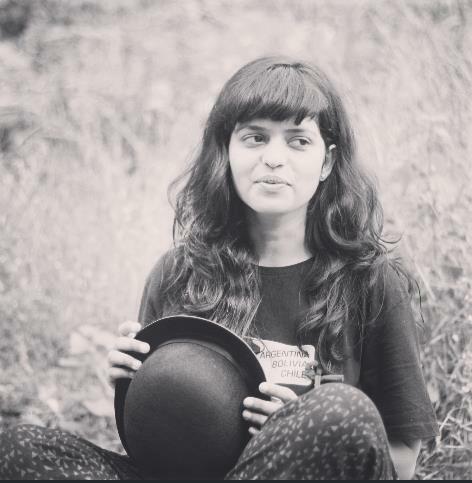 Now, it may still be Winter (shivers) but the ace stylist and one part of the dynamic Kapoor sister duo, Rhea Kapoor, who happens to be in Goa attending a wedding, made the most of the sunny weather there, giving us some fashion goals and major envy in the process. Not that this is the first time she is serving sartorial fashion looks, TBH. 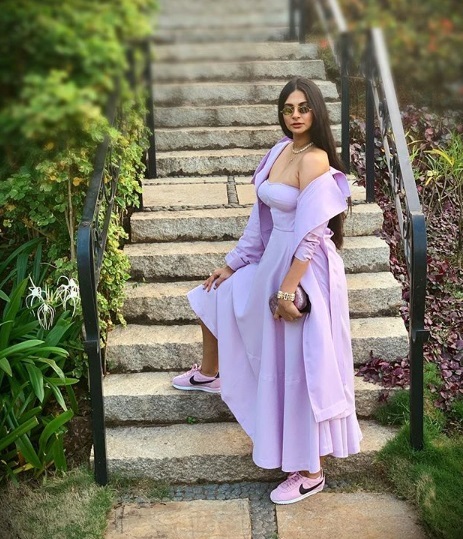 Dressed in head-to-toe lilac in a custom-made Dhruv Kapoor ensemble, Rhea gave us a lesson not only in spring dressing but also monochrome fashion. An off-shoulder dress with a fitted bustier for the upper half and pleats at the lower half made for a part of her fashion-forward ensemble. But that wasn't all! Striking outerwear in the same hue of lilac, with oversized lapels and full sleeves, layered her dress. A dress that can be worn two ways? Bring it on! Once again proving that she is a stylist beyond compare, Rhea Kapoor paired her dress with, wait for it...sneakers! Also in attendance was Sonam Kapoor, who gave yet another stunning look in a bright gown with a plunging neckline. 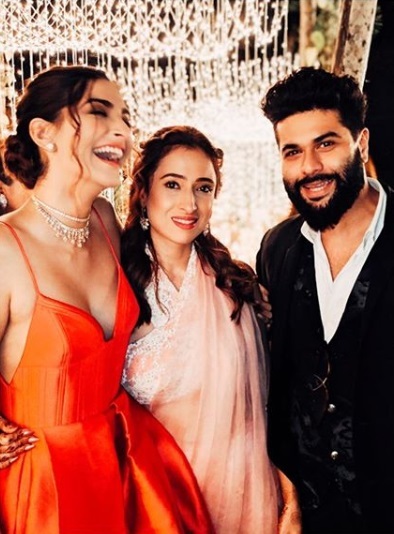 The Kapoor sisters sure know how to deck up for a shaadi while still exuding their natural cool-girl style. BRB, going to look for a perfect dress +sneakers combo in my wardrobe.